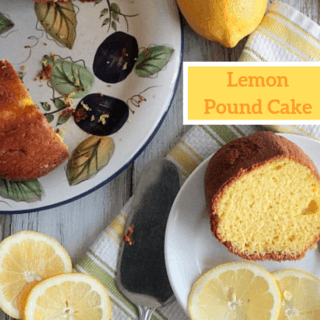 Lemon Pound Cake is the perfect way to bring some spring onto the dessert plate. 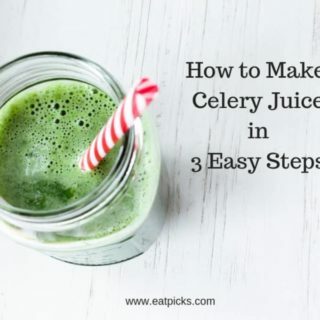 It is light, moist and full of so much lemon flavor, it needs nothing other than a cup of coffee, tea or milk to go with it. The best part? It all starts with a boxed cake mix and pudding mix. It is my go-to cake when I need something quick and delicious- because, from past experience, this cake satisfies both. 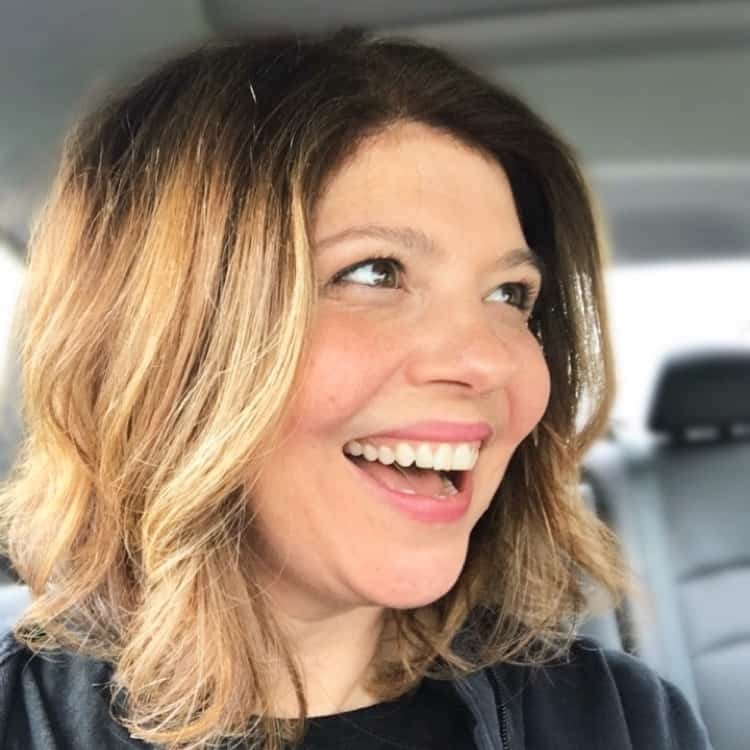 Want to know how it became my favorite? Read on and I’ll share the story with you. 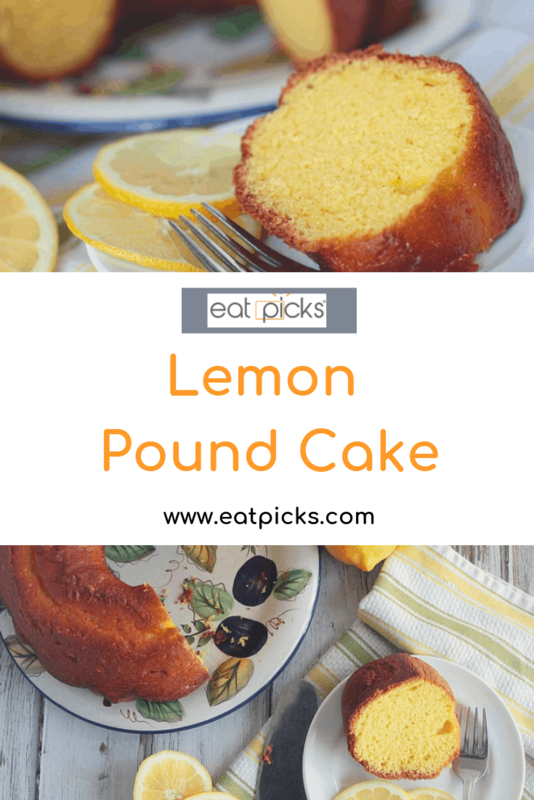 How did this Lemon Pound Cake become a favorite? 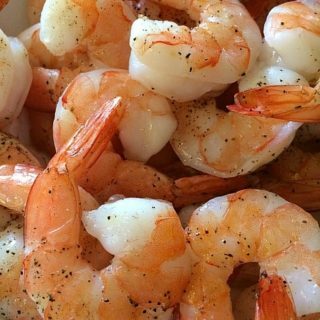 My husband’s grandmother (Nana) was a phe-nom-enal cook. She pretty made everything by hand; bread, pasta, cookies, and the most amazing meringue pies I have ever tasted. She has been gone for over 20 years, but to this day, I can still taste her cooking. I miss her. Every now and then, my mother-in-law will pull out Nana’s recipes and go through them while we are visiting, looking for family favorites. This particular cake recipe was cut from the side of a cake mix box was tucked in the pages. Even Nana could spy a good recipe and even though this isn’t from scratch, she made & saved it because it was so good. My husband said this was a cake he remembered growing up. It was a favorite of his grandfather’s and Nana had it all the time. Once I made it, I could see why! It really is the perfect cake. 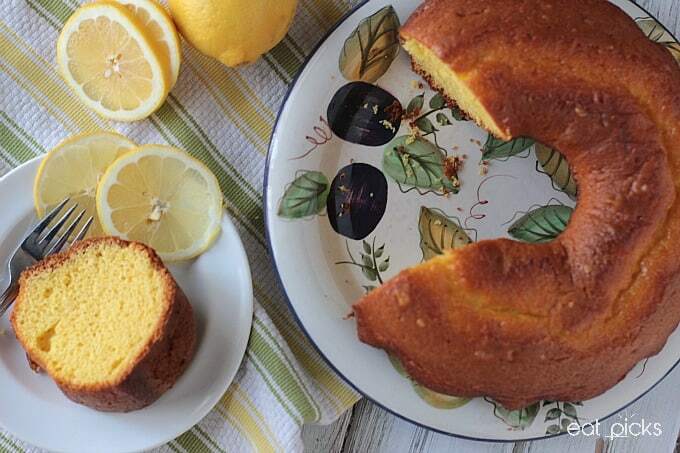 Simplicity is the Key When it Comes to Lemon Pound Cake. 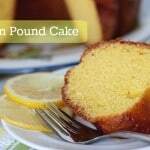 What makes this lemon pound cake recipe so darn good is the simplicity. No icing is required, no need for powdered sugar to be sprinkled on top. 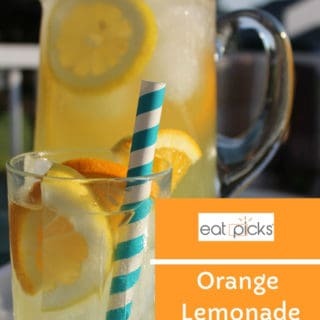 Mixed with lemon pudding , it is rich and bursting with lemon flavor. Now, that is not to say we haven’t enjoyed it with fixings- we’ve put a scoop of ice cream on top and also topped it with whipped cream and berries, but our favorite way to eat this lemon pound cake is to simply slice and serve. I like to bake this lemon pound cake in a bundt pan, and this is the one I use from Nordic Ware . I have other fancy bundt pans that I am waiting to try with this cake, but for now, I’ll stick to the plain and simple. I really like baking with Duncan Hines cake mixes and when adding instant pudding it makes a deliciously soft and flavorful crumb to any flavor you choose. 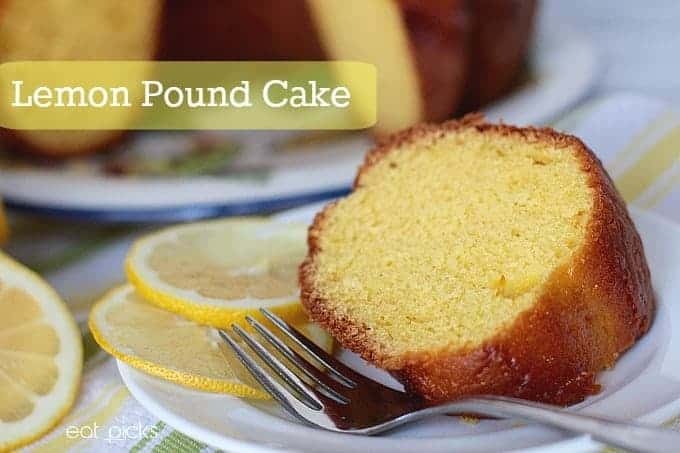 Easy to make Bundt Pan Lemon Pound Cake is simple and delicious to enjoy any time. 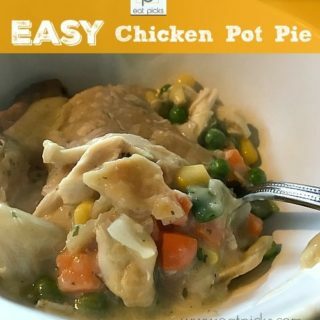 Full of lemon flavor and super moist from adding pudding, this will be a family favorite! Combine all ingredients in a stand mixer and beat on medium speed (with paddle attachment) for 2 minutes. Bake 50-55 minutes or until toothpick tests clean from center of cake. Cool on rack for 20 minutes. Turn out cake onto rack and allow to cool completely. Here is another Bundt Cake I have enjoyed making! Chocolate bundt cake with Lactaid that is super yummy!